Bard StatLock MultiPurpose Stabilization Device offers needle-free securement of chest tubes, sheath introducers, drainage devices, catheters and more through the use of nylon strands that grip the tubing. 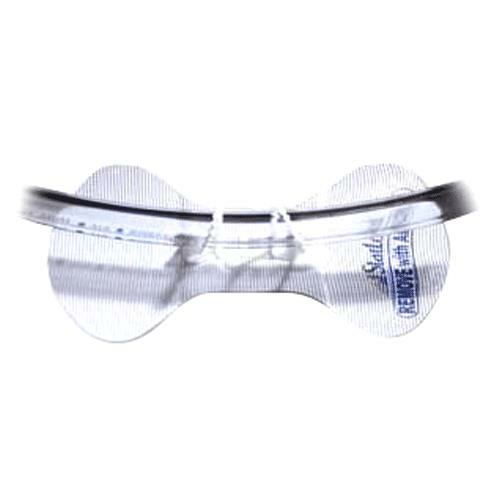 It is designed to reduce potential complications associated with tape or suture securement. Prep: Prepare targeted area using alcohol, to remove oil and moisturizer, and skin prep for skin protection and enhanced adhesion. Allow to dry completely as contact with alcohol can weaken bonding of components and pad adherence. Always connect the StatLock MultiPurpose stabilization device to tube or catheter before adhering pad to the skin. Pull: To apply this device, first form a double loop by inserting both strands through their adjacent locking traps. Next slide the channel formed by the double looped strands on to the tubing. Then tighten the strands snugly against the tubing by pulling them. Peel: Peel off the StatLock device paper backing. Place: Place the device on targeted skin one side at a time. Carefully remove overlying dressing using stretch technique and sutures (if applicable). Disengage: To disengage catheter/tube from StatLock catheter securement device, use hemostat forceps to gently twist the nylon strand near the point of origin until they snap open or cut the strands with scissors. Dissolve: Dissolve the adhesive with alcohol swab while gently lifting the anchor pad. Document: Note StatLock Stabilization Device dressing change in the patient chart. Dispose: Dispose of all equipment in appropriate containers. Observe universal blood and body fluid precautions and infection control procedures, during the StatLock MultiPurpose stabilization device application and removal. Avoid the StatLock securement device contact with alcohol or acetone, both can weaken bonding of components and the pad adherence. The anchor pad adherence and catheter/tube position should be routinely inspected. Orient the StatLock device so arrows point toward the catheter tip. Always apply the adhesive strip to central venous and arterial catheters at or near the insertion site when using a StatLock MultiPurpose stabilization device.